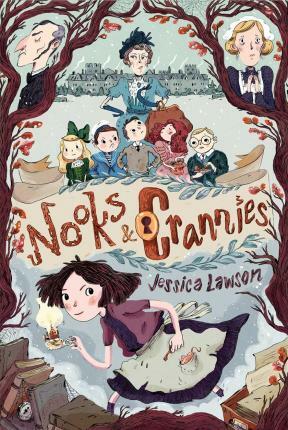 Charlie and the Chocolate Factory meets Clue when six children navigate a mansion full of secrets--and maybe money--in this "delightful gem" (School Library Journal, starred review) with heart. Sweet, shy Tabitha Crum, the neglected only child of two parents straight out of a Roald Dahl book, doesn't have a friend in the world--except for her pet mouse, Pemberley, whom she loves dearly. But on the day she receives one of six invitations to the country estate of wealthy Countess Camilla DeMoss, her life changes forever. Upon the children's arrival at the sprawling, possibly haunted mansion, it turns out the countess has a very big secret--one that will change their lives forever. Then the children beginning disappearing, one by one. So Tabitha takes a cue from her favorite detective novels and, with Pemberley by her side, attempts to solve the case and rescue the other children...who just might be her first real friends.